Royal Caribbean International has just unveiled its 2014 Northeast America and Northern Europe cruises aboard six ships to New England and Canada, Bermuda, and the Caribbean, and the Baltic, North, Norwegian and Mediterranean seas, respectively. In total, Independence of the Seas, Adventure of the Seas, Explorer of the Seas, Brilliance of the Seas, Grandeur of the Seas, and Legend of the Seas will embark on 87 sailings with a total of 85 unique ports of call on two continents. Royal Caribbean’s 2014 Canada and New England cruises open for sale today while the cruise line’s Northern Europe cruises will open for sale on March 20, 2013. Vacationers looking to experience Europe sooner this year can still take advantage of an incredible offer aboard one of nine ships plying European waters in 2013. During the current month-long Europe Extravaganza sale, vacationers who make a new individual booking with deposit through March 31, 2013, will receive $400 onboard credit per suite-category stateroom; $200 per balcony stateroom; $100 per outside stateroom; and $50 onboard credit per inside stateroom. Guests can apply their onboard credit toward an exciting shore excursion or rejuvenating spa session, or celebrate a special occasion during their cruise with a specialty dining experience. Guests taking advantage of this offer must mention appropriate offer code when booking. For more details, please visit www.RoyalCaribbean.com/EuropeExtravaganza. As the U.K.’s largest and most innovative cruise ship, Independence of the Seas will sail roundtrip in 2014 from Southampton on 12- and 14-night itineraries to the Spanish, French and Italian rivieras and offer vacationers exclusive onboard amenities acclaimed for Royal Caribbean’s Freedom-class ships. Guests can enjoy surfing on the FlowRider or relax in the ship’s cantilevered whirlpools, among other exclusive onboard amenities offered at sea by the cruise line, as they pass the Rock of Gibraltar and call at some of the most compelling destinations of Southern Europe. Two sailings, an 11- and a 12-night roundtrip sailing will bring guests to the paradisiacal Canary Islands and Madeira (Funchal), Portugal, departing Oct. 2 and 13. Independence of the Seas also will sail an eight-night itinerary to the southern fjordlands of Norway on May 17, followed by a shorter six-night cruise to Paris (Le Havre), France, and Bilbao and Gijon, Spain, departing on May 25. Vacationers also can choose a three- and four-night sampler, sailing October 25 and 28 respectively, with calls at Bruges (Zeebrugge), Belgium, and Paris. 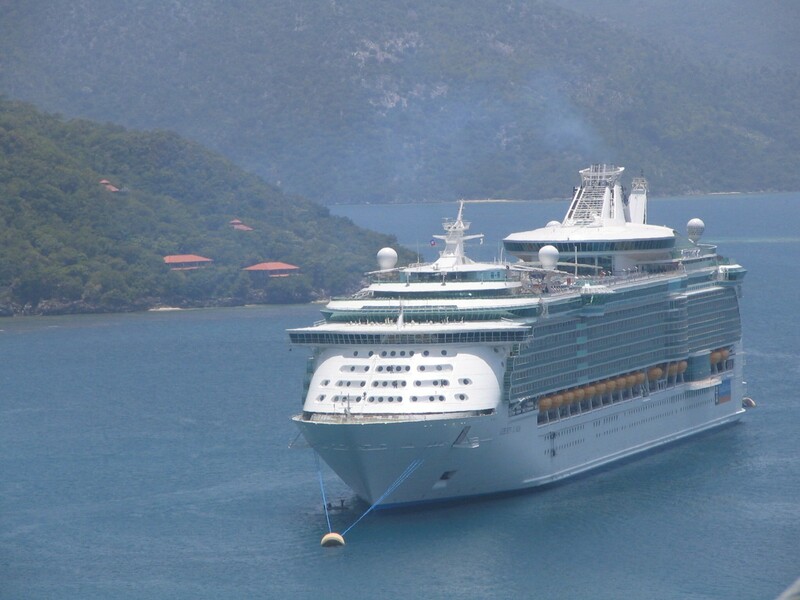 Furthermore, Independence of the Seas’ 2014 Europe season is bookended with a 13-night eastbound trans-Atlantic voyage from winter-homeport Port Everglades in Fort Lauderdale, Fla., and a 15-night westbound return crossing departing May 4 and Nov. 1, 2014, respectively. For a week-long cruise option, vacationers can chose a seven-night Southern Norway cruise, departing May 23, or a seven-night North Sea cruise to France and Spain, departing Oct. 26. Two short cruises, a four-night Belgium and France itinerary, departing May 4, and a two-night Paris (Le Havre) sailing, departing Aug. 29, will offer vacationers a taste of the Voyager-class ships, the first to introduce the cruise line’s iconic rock-climbing wall, ice-skating rink, and the Royal Promenade, a boulevard of restaurants, lounges and boutiques that stretches nearly the ship’s length. Vacationers also can span two continents on 14-night trans-Atlantic crossings, sailing eastbound from Miami on Apr. 20 and westbound to San Juan, Puerto Rico, on Nov. 2. In addition to Southampton, vacationers can choose 12- and 13-night Scandinavia and Russia cruises, sailing roundtrip from Harwich, England, aboard Brilliance of the Seas that also features two-day calls at St. Petersburg. A 12-night Fjords & Iceland itinerary, departing July 26, brings guests to southern Norway, Scotland, and the Faroe Islands, as well as calls for two days at Reykjavik. Fourteen-night, Trans-Atlantic crossings also bookend the ship’s Northern Europe season, with the eastbound voyage departing on Apr. 30 from Tampa, Fla., and a westbound voyage departing on Aug. 31 that follows a northerly route to Boston, Mass. Legend of the Seas heads for the Baltic Sea on April 16 on a 16-night trans-Atlantic crossing from Port Everglades to Copenhagen. Nordic and Baltic enthusiasts then have a choice of Copenhagen or Stockholm, from where they can embark on a seven- or eight-night Norwegian Fjords or Baltic cruise. From Copenhagen, an 11-night Arctic Circle itinerary, departing June 7, calls as far north as Tromsø and Honningsvåg to bring guests into the ‘Land of the Midnight Sun.’ An 11-night Ultimate Scandinavia Russia itinerary, departing Copenhagen on June 18 features a three-day call at St. Petersburg and an overnight at Stockholm for an extensive Baltic adventure. In autumn 2014, vacationers have a choice of four ships, aboard which to catch the infinite range of colors in the grand Northeast U.S. and Canada’s Quebec, Newfoundland, Nova Scotia and Prince Edward Island. From Quebec City, four cruises aboard Legend of the Seas will sail 10- and 11-night itineraries, calling throughout the Gulf of St. Lawrence. A 12-night Canada and Bermuda cruise, departing Nov. 3, will include an overnight in Bermuda as the ship repositions to its winter homeport of Port Everglades. Brilliance of the Seas alternatively, will offer six autumn sailings to Canada and New England, sailing roundtrip from Boston to Maine, New Brunswick and Nova Scotia on seven-night itineraries. Explorer of the Seas will offer two nine-night fall-foliage cruises, departing Cape Liberty Cruise Port in Bayonne, N.J. on Aug. 28 and Sept. 11. The ship also will alternate a five-night Bermuda and a nine-night Bermuda & Caribbean itinerary for the convenience of vacationers from the New York metropolitan area. From Baltimore, Md., Grandeur of the Seas will offer mid-Atlantic vacationers four convenient sailings to catch the fall foliage on an eight-night Canada & New England itinerary. These eight-night sailings will alternate with a six-night Bermuda itinerary that uniquely features a three-day call at the British overseas territory. Royal Caribbean International is a global cruise brand with 22 innovative ships, calling on more than 270 destinations in 72 countries across six continents. The line also offers unique cruise tour land packages in Alaska, Canada, Dubai, Europe, and Australia and New Zealand. Royal Caribbean provides a world-class vacation experience with a wide range of signature onboard amenities, entertainment, and award-winning family programming. The cruise line has a 40-year history of delivery to guests the Royal Advantage – the most innovative cruise ships, exciting itineraries to popular destinations, and world-renowned friendly and engaging Gold Anchor Service. Royal Caribbean has been voted “Best Cruise Line Overall” for 10 consecutive years in the Travel Weekly Readers’ Choice Awards. For additional information or to make reservations, call your travel agent, visit www.RoyalCaribbean.com or call (800) ROYAL-CARIBBEAN. Follow Royal Caribbean on Facebook at www.Facebook.com/RoyalCaribbean or on Twitter, @RoyalCaribbean. This entry was posted on March 6, 2013 at 10:28 pm and is filed under Caribbean cruising, cruise deal, cruise vacations, cruiselines, cruises, cruiseships, Cruising Europe, New England cruises. You can follow any responses to this entry through the RSS 2.0 feed. You can leave a response, or trackback from your own site.